Rich The Kid is testing a lot of people's patience these days. As fans are eagerly awaiting the arrival of his new album, The World Is Yours 2, his estranged wife is waiting for him to come out of hiding to serve him documents in their divorce case. 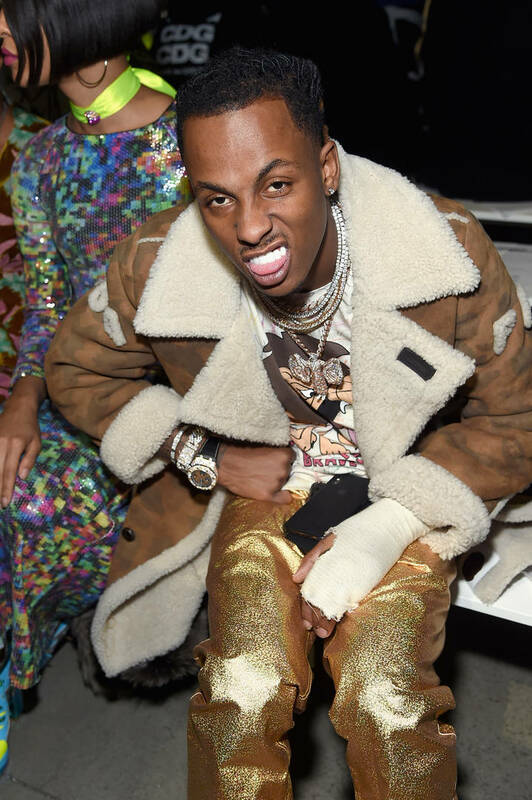 According to TMZ, Antonette Willis claims that Rich The Kid has gone ghost in the midst of her trying to serve him papers. She claims that she's made multiple attempts to hand him the papers but unfortunately, he's M.I.A. Due to the numerous attempts to serve him, she's tallied up a lot in legal fees and she demands that he pays money to her lawyer. Antonette said that Rich has been paying $4500 for her rent and another $3K for her expenses. She said that she has no income right now and her expenses are coming in the way of her payments to her lawyer. Her expenses include $1225 a week for luxury car rental. She's looking for $30K to help pay her legal bills. She said that the money wouldn't be hard for Rich The Kid to cough up since he brings in well over $100K per month. Their divorce has been ongoing since March 2018. She came out with allegations that the rapper pressured her into having multiple abortions and he was violent towards her. The former couple have two children together who Antonette claim barely see their father.